A @shareski inspired jump shot. It’s hard to believe that it’s been nearly 2 years since I last attended a Google Apps for Education (GAFE) summit. Life has changed a lot since then. When I left the last GAFE I came away with a lot of plans and a zeal to share my plans with anyone who would listen and many who didn’t want to. Do a series of 1 minute ‘what’s going on in your classroom?’ video. Review with my tutor teacher to look for improvements in teaching practice. Post reflections to my blog for input from a wider audience. Contribute to the digital citizenship project. Institute a daily google challenge to improve my class’s digital literacy (thanks Wendy Gorton for the book, I also plan to write some questions relevant to my New Zealand context). Design an app for my class to communicate more effectively with my parents/students. Students and parents to have input into key functions. Use google maps to develop a virtual tour for incoming year 7s for next year. Hold an end-of-term ‘innovation day’ based on the principles behind google’s 20% time. Did I achieve my plans? Erm yes and no. I did post a few videos of cool stuff and even a welcome video for my new principal, I still do google challenges and innovation day happened at my old school. But when I look at that list, I realise that there were a lot of things I didn’t come close to accomplishing. My lesson is that I’m very good at coming up with crazy ideas not so good at implementing them. 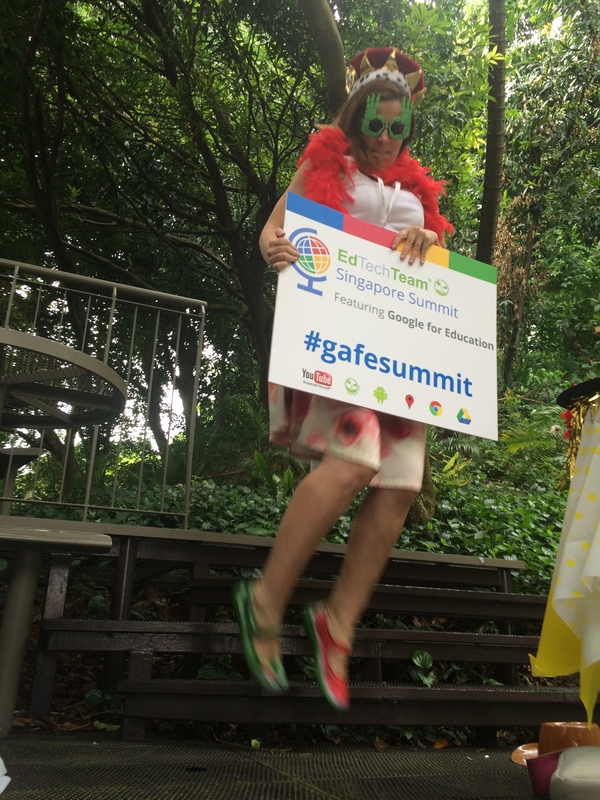 Coming to GAFE Singapore was a change to reconnect with all that crazy googly energy. To remind me that coming up with ideas is one thing, but implementing is so much harder. Telling stories better – It’s amazing how quickly I’ve gotten out of the habit of using my phone to video moments of awesomeness. I really do need to get into the habit of capturing things. I took on @shareski point that teachers need to tell stories. I’m using Humans of New York as inspiration to tell stories about the kids in my class. Share the Joy – I’ve gotten out out of the habit of sharing. Making time to write more instead of faffing around consuming stuff on twitter I need to put time into creating things for others. Just do it – I’m not sure if it is a fear of failure or poor time management on my part but I’ve become a lot more risk adverse these days. I’ve already got one project on the boil at school and another one I’m in the process of putting together.